With the tennis season starting to wind down, it is almost time for the World Tour Finals. I've been lucky enough to watch tennis now there twice, it really is a great venue that plays host to a number of different events. Booking accomodation for the WTF got me thinking about the best places in the world to watch tennis and where I'd like to visit. So far I've been lucky enough to visit Wimbledon and the World Tour finals, but when it comes to tournaments overseas thus far I've been forced to watch them from home on my TV. I guess it's the next best thing, but I definitely need to experience some new venues away from the UK on some warmer shores. This venue is consistently loved by most of the professional players, and also takes you to a part of the world that you may not have other reasons to visit. 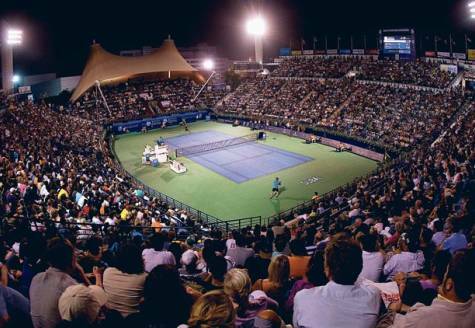 I've never really fancied Dubai as an out and out holiday destination, but as a tennis venue it does look like a fun place to watch and seems as though it offers something different to most of the other tournaments. This stadium, located in Johannesburg, South Africa, does not seem to offer the state-of-the-art quality of some of the other stadiums worldwide. However, from what I've seen it has its own certain charm, and there are few locations that beat South Africa at any given time of year. 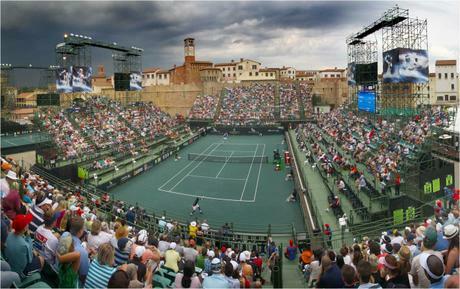 It doesn't attract all the top players as it starts 2 days after the Australian Open, but the Montecasino complex looks to be worth a visit in its own right. I've wanted to watch here ever since Roger won in 2009, the support he gets at this Grand Slam is phenomenal. 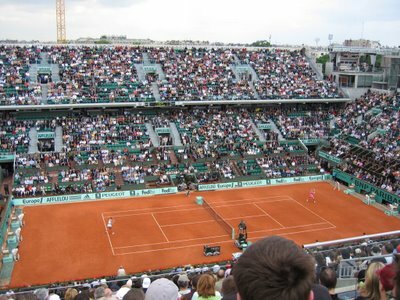 When the quality of tennis is high and players go for winners, the French crowd really get into it and the atmosphere when Federer played Haas and Del Potro on Chatrier in 2009 was awesome. You'd also get to enjoy the city of Paris as it's right on the doorstep. 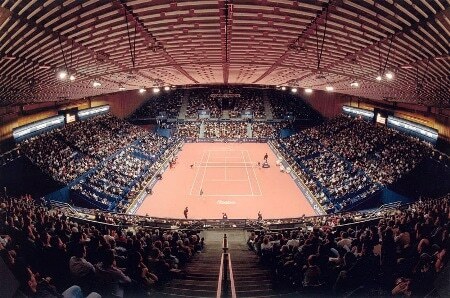 The Billie Jean King center in Queens, New York is the sprawling Mecca of tennis in America, and offers fans the sort of “big stadium” atmosphere that's difficult to find elsewhere. I imagine watching here is a world apart from Wimbledon, it seems very chilled out and less regimental than the All England Club. 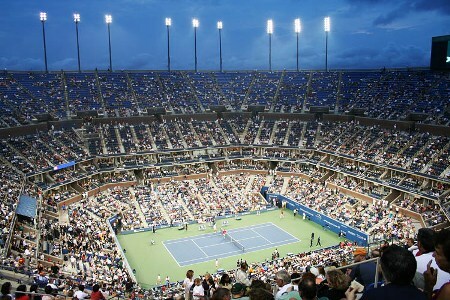 Ashe is one of those stadiums that just appeals and I'm pretty sure watching a night match in the later rounds would be a top experience. Perhaps one you wouldn't expect, I guess I'm slightly biased for this one seen as though it's Rogers hometown tournament, but I've always found this one a unique venue. It isn't a huge capacity, holding only 9,000 but I think that's what I like about it. The fact you can see players like Roger, Djokovic battling it out at one of the smaller tournaments in the Calendar year is quite a rare thing so would be great to watch. I also like the red surface but that's changed for blue this year! What are your favourite venues? Any you'd like to visit?